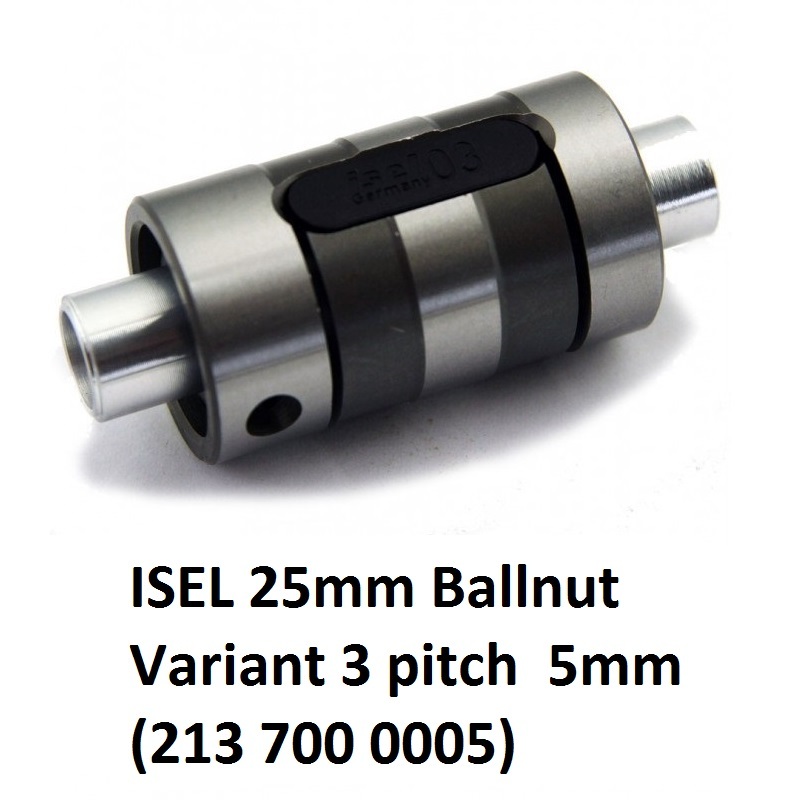 25mm Ballnut Variant 3 pitch 5mm (213 700 0005) | DamenCNC B.V.
For the 25mm Ballscrew system ISEL only has the Variant 3 type of nut. It needs to be used in combination with the MountingBlocks. Since these provide the pre tension on the system. 5mm/10mm and 20mm pitch is available, use the higher pitches for longer spindels, this will allow the rpm of the spindel to be less as the same feedrate.